Green Mountain Fudge was started out of necessity. Jim Ferguson founded the company based on the fact that he enjoyed his fudge creamy. Jim enjoys a rich, creamy, fudgy, texture at all times. When shopping for fudge, he was only able to locate dry and cracked fudge that was readily available at most locations. So, Jim and his wife Bethany decided to start Green Mountain Fudge after their Ferguson Farm maple business had been a success. After much dedication from Jim and Bethany, Green Mountain Fudge is in a number of stores and constantly expanding. Most people that have tasted their fudge love the creamy texture and rich flavors. 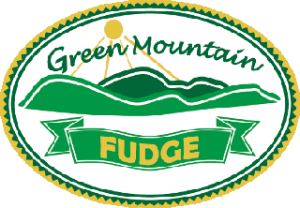 Green Mountain Fudge now has over 25 flavors of fudge and is represented at over 20 venues a year for sampling and sales.